In a Nutshell: As the national student debt burden grows and recent graduates struggle to find their financial footing, access to college scholarships has become increasingly vital. But, for students seeking ways to pay for college, just searching for scholarships can feel like a full-time job. TFS Scholarships eases that stress by aggregating information for more than $41 billion in scholarship money and matching students with the scholarships for which they qualify. The site also provides a career aptitude test that helps students narrow their academic and professional options so they can achieve success in college and beyond. A 2018 study on student debt found that 44 million graduates carry a collective debt of $1.5 trillion — triple the amount they owed in 2005. The study also found that graduates’ real wages have decreased by 2.5% since 2000, further straining post-graduation budgets. About 8 million of these student borrowers are currently in default on a loan, and another student defaults on a loan every 28 seconds. TFS Scholarships was founded to help students enjoy the benefits of a college education while avoiding unnecessary debt and its effects. Through its scholarship-matching service, career aptitude test, and educational articles, TFS Scholarships helps students secure educational funding and start planning their futures before they even leave high school. “Our goal is to provide the best scholarship information a person can possibly get,” said Richard Sorensen, President of TFS Scholarships. TFS Scholarships provides students with access to more than $41 billion in educational funding. A college education has been shown to contribute to greater financial well-being later in life. The Bureau of Labor Statistics reported in April 2018 that people over 25 who hold a bachelor’s degree had an unemployment rate of 2.1%, whereas people the same demographic without a degree had an unemployment rate of 4.3%. College graduates are also likely to earn more than employees without degrees. In September 2018, Third Way’s “Is College Worth It?” report found that a typical college degree will enable a worker to earn about $900,000 more over his or her lifetime. Although that value varies by major, institution, and profession, the report establishes a college education as a crucial component of financial and career success. And TFS Scholarships helps students maximize that investment in themselves by assisting them in securing funding to offset the upfront costs. In 1988 — during the early days of the home PC — Sorensen and a few friends decided to get into the burgeoning tech business. They took their inspiration from Sorensen’s father, who was a principal at an inner-city school in Salt Lake City, Utah. As an educator, the senior Sorensen wished that students had more efficient access to college funding options. Sorensen and his partners set out to solve this problem. They spent a year compiling scholarship data and building a proprietary program that would match eligible students to funding sources. They found schools were eager to access this resource; but, unfortunately, the cost was too high. Students and educators can find opportunities quickly through the TFS Scholarships website. To overcome this obstacle, the startup partnered with Pepsi, which paid to provide the program and database to schools in exchange for contracts to install and maintain vending machines on campuses. Pepsi handled all of the marketing and sales, enabling Sorensen’s group to focus on accumulating scholarship information and building a comprehensive database. As PCs became more commonplace, and internet access ubiquitous, supplying the program directly to schools became unnecessary. All of the information is now available for direct access via TFS Scholarships. The website is now sponsored by Wells Fargo, which allows students to enjoy an ad-free experience while maintaining the peace of mind that their private information is secure. 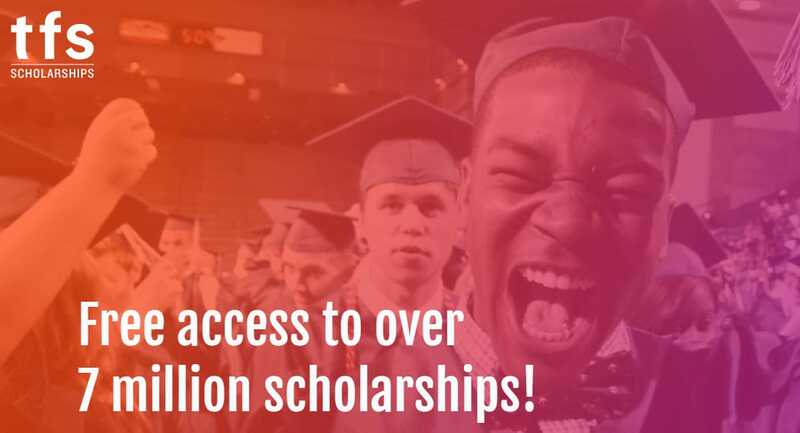 Today, TFS Scholarships provides students with access to more than $41 billion in college funding each year. While the aggregated information and intuitive interface makes finding a scholarship less labor-intensive, the application process still requires a time investment. But that’s a small price to pay to lower the cost of receiving an education. Students need to create a user account to take advantage of the TFS Scholarships matching system. Users answer various questions about themselves, and the system uses that information to build a profile of the student. Then it connects them with scholarships for which they qualify. “There are so many different requirements that different sponsors put in their scholarships. We try to match students with requirements,” Sorensen said. This system eases the effort of finding relevant offers. In the past, students had to review the requirements of each scholarship individually. TFS Scholarships filters out funding sources that don’t match the student’s profile, returning only scholarships for which they’re eligible. The information students supply is used exclusively for this purpose; TFS Scholarships does not sell its data to third parties. The Scholarship of the Day is often accessible to most of the site’s visitors. TFS Scholarships also runs a Scholarship of the Day feature, which spotlights offers typically available to a broad range of students. 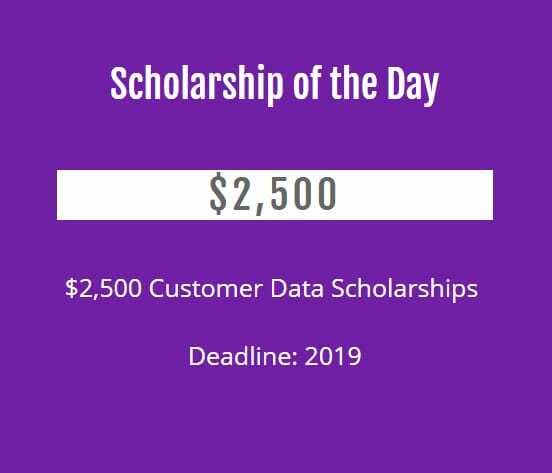 The Scholarship of the Day is available on the organization’s website, but TFS Scholarships also publicizes this feature — and many others — on its social media accounts. In her essay “Advice, like youth, probably wasted on the young,” Chicago Tribune columnist Mary Schmich told the graduating class of 1997, “The most interesting people I know didn’t know at 22 what they wanted to do with their lives. Some of the most interesting 40-year-olds I know still don’t.” This sentiment is characteristic of the spirit of the late 1990s, but in today’s post-Great Recession economy, solid direction and intention are crucial for anyone entering college. The Oxford English Dictionary Online defines a university as “an institution of higher education offering (instruction) in mainly non-vocational subjects.” Today, career training is the predominant educational model at colleges and in desirable degree programs. Students who take the time to accumulate funding and earn a degree will likely be doing themselves a disservice if they don’t have a clear idea of what they want to pursue after graduation. The career aptitude test on TFS Scholarships allows users to find jobs based on their skills and interests. To assist those facing one of the most important decisions of their lives, TFS Scholarships provides a free career aptitude test. The test is similar to the Armed Services Vocational Aptitude Battery, which is used to place recruits in appropriate military roles. The TFS Scholarships test gauges each student’s professional prospects by asking them about their interests, skills and abilities, and jobs that excite them. 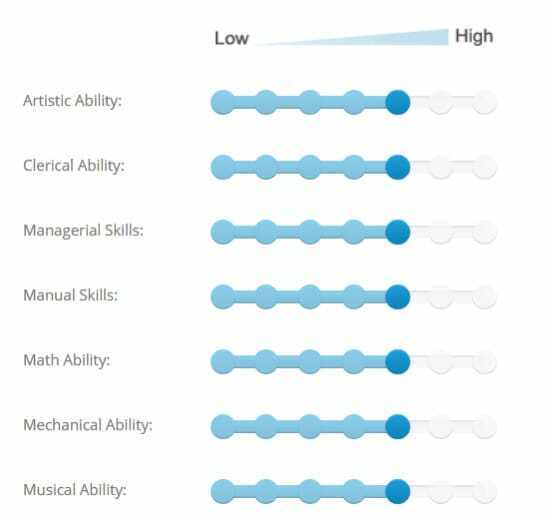 Based on this information, the tool suggests compatible careers to consider. Students can explore these suggestions to help them choose a major or degree specialty and schedule their college course load. While the TFS Scholarships aptitude test doesn’t presume to tell a student which career they will enjoy and succeed in, it can help give them a head start on charting their futures in college and beyond. Student debt is a problem for many millions of Americans — whether they’re still in college or have long graduated. TFS Scholarships set out to reduce that burden by providing more people with access to scholarships to offset that cost early on. And the organization has had quite an impact. To help students manage their money and navigate costs on and off campus, TFS Scholarships and Wells Fargo provide resources to educate them on personal finance. The TFS Scholarships blog includes features on preparing for college entrance exams, fostering good study habits, how to win scholarships, and understanding the resources available on campus. It also provides a wealth of Spanish-language resources. Wells Fargo’s CollegeSTEPS blog offers similar materials to help high school students begin preparing for higher education. Topics include steps to take before graduation, application planning and submission, developing valuable mentor-mentee relationships with teachers, and preparing to attend a college fair. In the realm of finance, the blog offers guidance on understanding the real costs of college, managing money while earning a degree, and evaluating various financial options. These resources allow students to start planning their college careers and higher education funding. By taking advantage of TFS Scholarships’ matching service, career aptitude test, and access to more than $41 billion in scholarships, students can make the most of their available resources to achieve both academic and financial success.